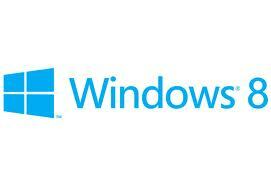 1- You need a Windows 8 PC to make a System Recovery Disk . 2- You need a CD Burner + Blanck CD. 3- If you have a tablet or a netbook and you don't have a CD burner then You need a 512 MB USB thumb drive to make a System Recovery USB instead. the next screen choose ( Create a recovery drive ) and follow the instructions to make a bootable System Recovery USB. 10- Type : Exit and hit Enter key. 14- Type: copy cmd.exe cmd.exe.original (watch for spaces) and hit Enter key. 15- Type: copy Utilman.exe Utilman.exe.original (watch for spaces) and hit Enter key. 16- Type: del Utilman.exe (watch for spaces) and hit Enter key. 17- Type: ren cmd.exe Utilman.exe (watch for spaces) and hit Enter key. 18- Type: Shutdown -r -t 00 (watch for spaces) and hit Enter key, the PC will restart. 19 – When you reach the Logon screen click on the Ease of Access Center icon on the left bottom side of the screen. 21- Type: net user (watch for spaces) and hit Enter key. 25- Type exit and hit the Enter key to close the command window. 26- Logon now to the locked account with the new password you just created. clicking on its icon on the bottom left side of the screen, if the Ease of Access list pops up then you succeeded in your work.